Mobally, a firm specializing in mobile commerce, has published a new API designed to help retailers take advantage of the growing phenomenon of mobile shopping. Many retailers have seen a dramatic rise in mobile traffic and activity in recent years, but many have yet to embrace mobile commerce in any significant fashion. This may be due to a lack of the mobile space itself and how mobile application work. Mobally believes that its API can help resolve this issue. The API enables retailers to design, develop, and deploy completely native retail applications. These applications are platform agnostic, meaning they can be used on both Android and iOS devices as well as others. The applications are meant to help retailers establish a stronger presence in the mobile space, making them more attractive to consumers that have taken to shopping from their mobile devices more regularly. 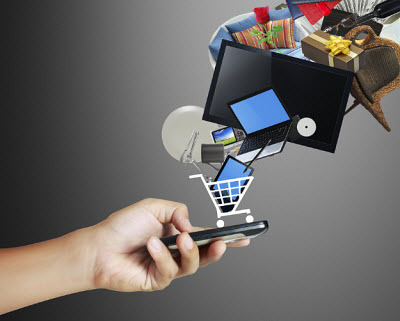 Over the past two years, the retail industry has become quite interested in mobile commerce. During the holiday seasons of 2011, 2012, and 2013, mobile sales began to skyrocket, showing retailers that mobile commerce is a promising pursuit. While many large retail organizations have managed to develop their own applications with relative ease, specialty retailers and smaller organizations have had more trouble in this endeavor. Many retailers lack an understanding of mobile technology because of their strict focus on their physical stores and traditional forms of engagement. As such, when these retailers develop their own applications, they can provide a somewhat unpleasant experience for shoppers. An API like that being offered by Mobally could help retailers overcome certain technical hurdles and engage consumers in a more dynamic way. The API allows retailers to quickly build new applications, allowing them to move from concept to deployment in a relatively short amount of time. While this may be good news for retailers, hastily developed applications could provide consumers with a lackluster experience.